Our Maine Student High Altitude Platform (MeSHAP) Program has been extremely successful since its inception in 2010 at the University of Maine (UMaine), Orono. 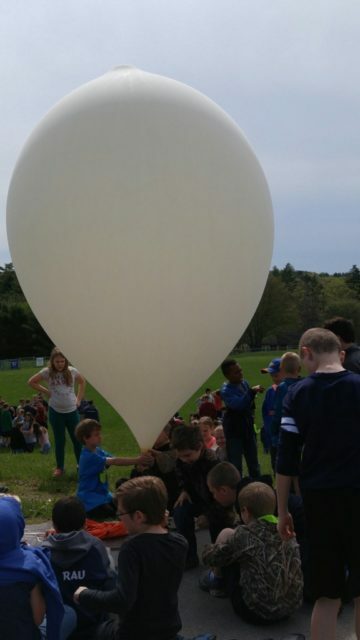 The goal of the program is to support student-based scientific ballooning projects that build skills, techniques and methodologies applicable throughout the students’ STEM careers. We designated UMaine as the lead institution for launching balloons at a site to which students from the other institutions would bring their scientific payloads. K-12 teachers and students across the state also participate. Under the direction of Dr. Richard Eason, annually this program impacts an estimated 50 undergraduate students and 500 K-12 students.